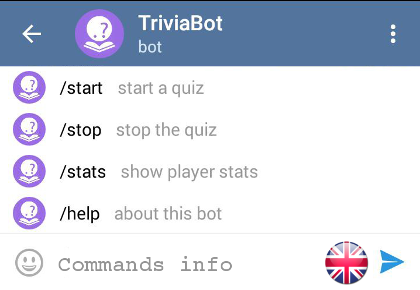 TriviaBot allows you to test your trivia knowledge in a quiz. 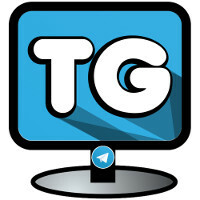 You can use it on your own or add it to groups and compete with friends. /timer – enable and disable the time limit for answers. Is it posible to make your own quiz questions? I would like to have a bot with my questions. 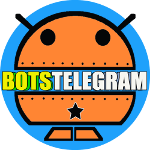 There are already some blogs that have published some little tutorials about how to create a Telegram Bot (it is not so complicated if you want to do a simple bot). Obviously, if you want to create more professional Bot, you’ll have to learn coding. I attach you links of some tutorials and a link from Reddit (Forum Web) where people discuss and help each other with Bot development. Is there a spam time limit on answers? e.g. 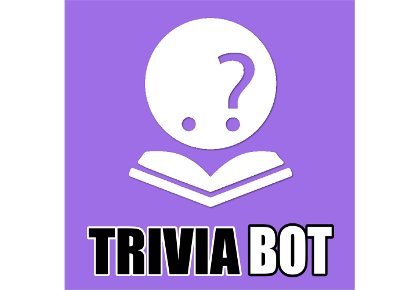 I notice when answering incorrectly and then correctly in quick succession, Triviabot will ignore the correct answer. Hi Wilk, unfortunately we don’t manage this Bot but I guess maybe Bot is not able to perform this action for the moment. Anyway, if we manage how to find the Bot Creator, we will inform him about this issue. Hi Artimos, for the moment we don’t have this stuff… we know that would be cool… maybe in the future?